My Patriot came out WORSE than when it came in!!! I took my Jeep Patriot in to repair a dent and a large, deep scratch in the paint and to replace a cracked windshield. The repair for the scratch and the dent was good, but thats where my good fortune ended. When I got my Patriot back, I noticed that they broke a molding for the windshield, forgot to clean the over-spray off parts of my paint and the front passengers window and mirror and they also painted my right rear $400 rim! On top of that my interior was completely covered in dust! Everything was coated with dust inside!!! I took my Patriot back so that they would fix these problems but all they did was wipe the dashboard, and vacuum the floors. I had to vacuum the seats, and PROPERLY wipe the interior down which took me 3 hours. When they cleaned the over-spray off the window and mirror, they did a pretty crappy jop. The mirror was fine now but my window was pretty much the same thing! Also my rim no longer has a smooth textured felling...thats a $400 rim, now worthless!!! Nobody and I repeat NOBODY SHOULD HAVE THEIR VEHICLE REPAIRED HERE!!!! Unfortunately this shop didnt work for me. The people are nice but not very accommodating when needing a 7-seat loaner. When I found out I was getting a larger van, I asked for a backup camera. I was told Id need to wait for them to call me when one of their loaner SUVs returned (no specific date could be given). Granted, I never asked specifically for this when booking the appointment as I assumed that most current vehicles have those features. What I was not impressed with, was the fact that getting a rental vehicle (covered by my insurance) wasnt suggested to me as an option. When I questioned it I was told its because they prefer to use their fleet vehicles because its cheaper for them. Not the service I was expecting and Im going to another body shop. Once again Brenda and her crew did a great job for me after I turned my trailer too sharp and dented the drivers back side of my Quad Cab. They reseal the back window after it was installed improperly by a glass company that wouldnt admit to doing an inferior job after I complained of a small bit of water ingress after they replaced the window when I popped that. Also did a great job to the other halfs car when she took on an underground parking pillar and lost!!! LOL Keep up the good work!!!! I brought my Jeep in to have the rear bumper fixed due to a medium sized scratch. Brenda was very kind, helpful and was able to give me a great estimate on the damage compared to other auto-body shops I was considering. My Jeep was repaired quickly and I was very happy with the results. The staff is very professional and I definitely recommend this establishment to anyone looking to have their cars repaired. 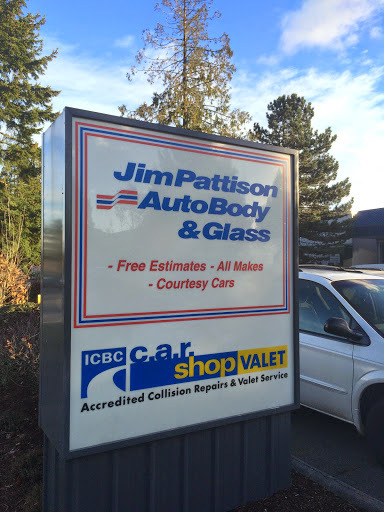 I was very impressed with the speed and final outcome of my experience with Jim Pattison Auto Repairs. They got my vehicle on Wednesday and it was ready to go late Thursday. It wasnt a big job but they did a great job, cleaned my car and I even got a certificate for a car wash later this year. I told the chap at the front that they did a great job and decided to write about it as well.. Very bad experience with the estimator Dustin. I visited the bodyshop to get an damage estimation of my car. The guy took a few pictures and wrote down my contact information and promised to get back to me in couple days. I phoned a week later he said he would do that soon. Now, it was months later. I never heard anything from this guy. I finally gave up and repaired other place. I recently picked up my car after a 5 days repair at Jim Pattison Chrysler Autobody, wow they really did a great job. My car was completelty detailed, the paint and body work are imazine none the less I also experienced their friendly and professionallism of staffs were great . I will definately bring my car back there again. Good body shop to get your car fixed.